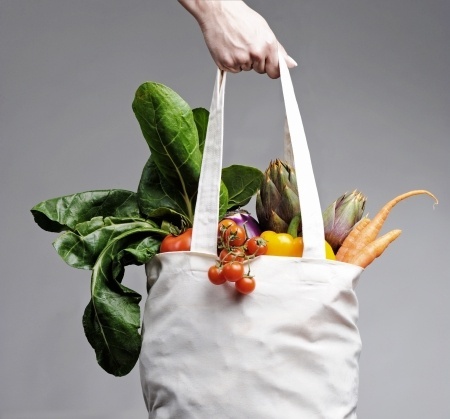 Switching to reusable shopping bags is an easy jumping off point to going green and becoming environmentally responsible. The hardest part about switching is remembering to take them with you on every shopping trip whether you are going out for groceries or to the mall. Reusable bags are convenient, durable and are a good way to demonstrate that you are environmentally aware. Plastic shopping bags and even paper bags are harmful to our environment. An estimated one million birds, turtles and other sea animals die of starvation each year after ingesting discarded plastic bags, which block their digestive tracks. Plastic bags take years to decompose in our landfills and are made from chemicals that contribute to our nation’s dependence on oil. The number of trees cut down for paper bags is substantial and moving to reusable grocery bags can help reduce deforestation. Eco-friendly reusable bags are convenient. You can fold them up and store them in your purse or in the trunk of your car for when you go to the store. They come in handy for toting just about anything from books or clothing or anything you need to carry from one place to another. Reusable bags are more stable and durable than regular plastic shopping bags. Who hasn’t picked up one of those flimsy plastic bags only to have the handle rip and spill all the contents of the bag? Eco-friendly reusable bags have the lifespan of approximately 700 plastic bags. Reusable shopping bags are easy to use and easy to clean; just toss them in the washer on laundry day. Others can simply be wiped out with a soft cloth and mild detergent. When kept clean, there isn’t any danger of cross contamination with food or mystery stains appearing on clothing transported in reusable bags.